Now that the cast of RuPaul‘s Drag Race All Stars season 3 has been revealed (*clears throat* Excuse me, “RuVealed”), the battle for the crown has only just begun. If Instagram followers determined the winner, the top three would be Trixie Mattel, Milk and Aja… but if Facebook fan page likes were the determining factor, the “tops” would be Shangela, Milk and BenDeLaCreme. But in the meantime, cast your vote for your All Stars 3 favorite below, then tune in to watch RuPaul’s Drag Race All Stars season 3 this winter on VH1. Related: Did a ‘Drag Race’ season 10 queen violate a police order to compete? I’m thinking it’s gonna be Trixie and Shangela, and possibly Kennedy or Aja joining them in the Top 3. But, if I had to guess, I’m thinking it’s gonna be Shangela. This will be Trixie’s and Shangela’s race to lose. Ben Dela Creme could be a strong contender too. But I’m rooting for Thorgy Thor. If Sasha Velour is any indicator, the “brainy” queens have the long game in mind. Thorgy Thor will easily be top 3, winner if she plays her cards (and opponents) right. Sasha Velour won because of the finale twist at the end. There was no long game in mind, at all. Awww, Mo Bro’s other screename desperately still pimping out their Clinton derangement syndrome. Because of course they don’t want to talk about the fact that the people they support want lgbts to be harmed, and would arrest anybody appearing on this show if they had their way. I’m kind of confused at all of the people thinking Trixie is a shoe in. She was kicked out once, then brought back, then kicked out again and never really made a mark on her season. Not sure why she would be any different here, whereas Bendela Crème killed for most of her season, Chi Chi started off rough and then improved to the point where she made top 3 and people like Aja and Thorgy never got out of their own heads. So maybe they’re right and Trixie will do well, but nothing I saw up to now makes that seem likely. Sorry, Chi Chi was top 4. When RPDR-AS2 started, it was obvious (at least to me) that Alaska was going to win. Barring something completely crazy, AS3 looks like a Shangela win — and it’s not even that close. Trixie has a strong fanbase, which is why they keep bringing her back, but she consistently flops on the actual show. I thought Katya had a chance, or maybe even a dark horse like Tatiana or Alyssa. But that shady picking, keeping Roxxxy on and sending those other two home pretty much cemented Alaska. No one will win. Being on cross-dressing show by definition makes them all losers. Awww, how adorable, the pro-GOP troll hates drag queens, what a shock. But funny, since the Republican Party seems to tell us that money is the only barometer of success, then RuPaul and many of the queens from the show are the GOP definition of success. Ru is making millions of dollars hand over fist, and many of the queens have broken into the 7 figure range. So that is successful according to the GOP right? Ohhhhhh, wait, you hate them because they’re not closeted. Ok, Got it. How ironic………The current president wears more orange makeup and uses more Miss Clarol “chickadee yellow” hair color than any drag queen on the show. …says the guy with an account on a queer website. If being on this show makes them losers, what does it say about you that you took the time to come to a queer website and write and post a comment? You are at least one step below loser, so Republican? There are no real big hitters who can match Mother Dust, or the cheating way Alaska won. I want someone crowned for their service to the drag community who have achieved major things after their run in Drag Race. Why is Aja, Thorgy competing? They need a few years to ripen up, se they & we can see the change when they return for a future series. There is one person who has worked bloody hard, came in as the queen with lack of experience only to return & keep her name on the Drag Circuit, so I am aware of her over here in the UK & it is Shangela. She has fought hatred & still, to this day, (MovieBitches) on YouTube. Good luck Shangela, Momma Ru saw something in you that is paying off. Plus, Alyssa owes us an apology for being Laganja’s Drag Mother & sending her to season 6, let us see Shangela reign like the queen she has worked hard to be. I am a lover of Milk for what she brought to the show & Kennedy because she makes me laugh in a way that appeals to my weird sense of humour. 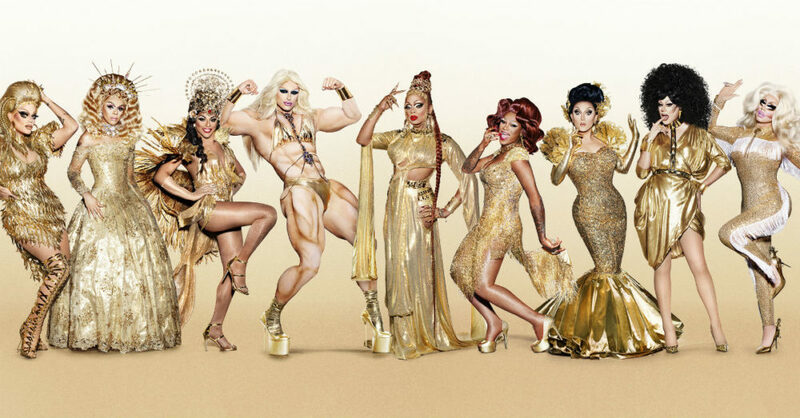 Good luck all, but my money is on Shangela.